But it’s important to note that creating a winning gift guide takes more than just rounding up your products and putting them in a catalog. 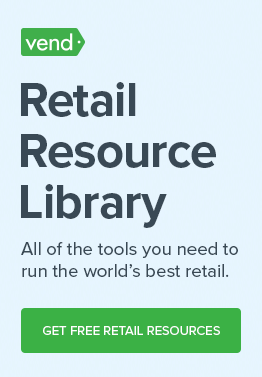 Releasing gift guides is a tradition in the retail world, so yours would have to be thoughtfully curated and marketed. Generate reports on your top sellers, identify the items that would make for great presents, and include those in your guide. You could, for example, have a “Featured” section on your guide to showcase gifts that everyone would love. 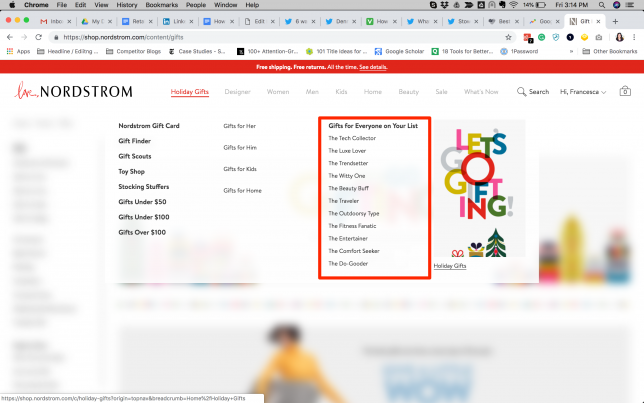 The “Gift” section on Alex and Ani’s website, for example, has a subcategory called “Our Best Gifts” which compiles the brand’s bestsellers. 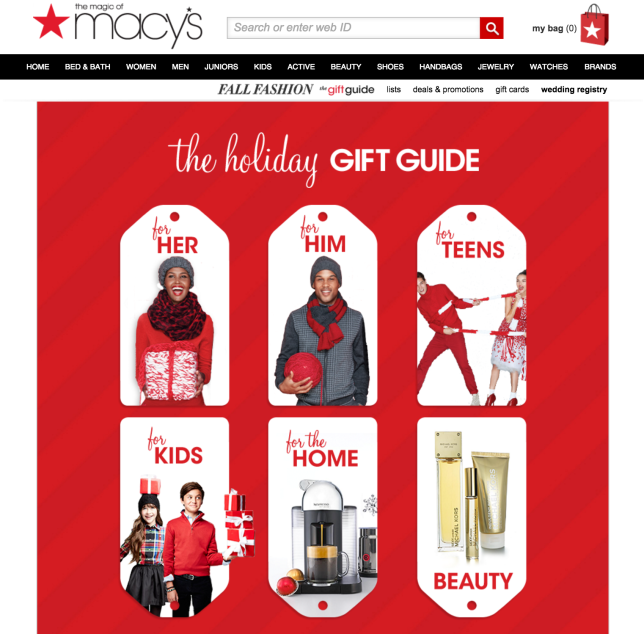 Ideally, your gift guide should contain products that would appeal to various shopper segments. If you can, generate sales reports according to customer category. It’s also a good idea to look at market and consumer trends. What styles or activities are popular among your target consumers? Are there any trends or products that everyone seems to be getting into? Get a feel of what’s happening in your market and incorporate those trending products into your guide. Use a tool such as Google Trends to identify opportunities in your location or industry. Let’s say many of your customers are getting into health and wellness. If this is the case, then consider stocking products for improving one’s health, and then include those items in your gift catalog. 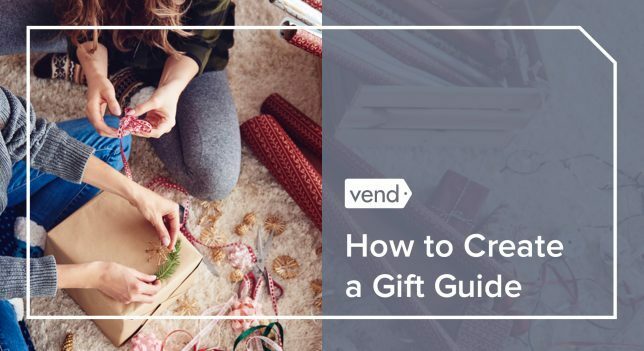 You shouldn’t be creating your gift guide in a vacuum. Go out there and talk to your customers about their ideas or any items that they think should be included. When chatting up shoppers in-store, casually ask them about what they’re planning to buy for the holidays and what they’d like to receive. You’ll get a lot of anecdotal information, but if you do it enough times you and your staff should be able to spot patterns. You could also use social media and online polls to gather insights. What’s your mascara go-to: length or fibers? Or, check out this example from Denny’s diner which asked followers about their taste in food (while injecting some humor in the process). Do something similar, but for your gift guides. Create a poll listing some of your products and ask people to vote on which items would make for great gifts. Another option is to categorize gifts according to people’s personalities or roles. Nordstrom, for example, curates gifts according to categories like “The Tech Collector,” “The Traveler,” “Fitness Fanatic,” and more. 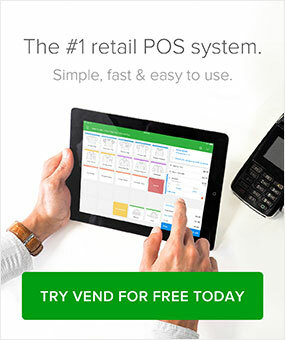 And you have a lot of price-conscious customers, consider adding a category like “Gifts under $100 / $50 / $25,” to help them quickly find products that are within their budget. 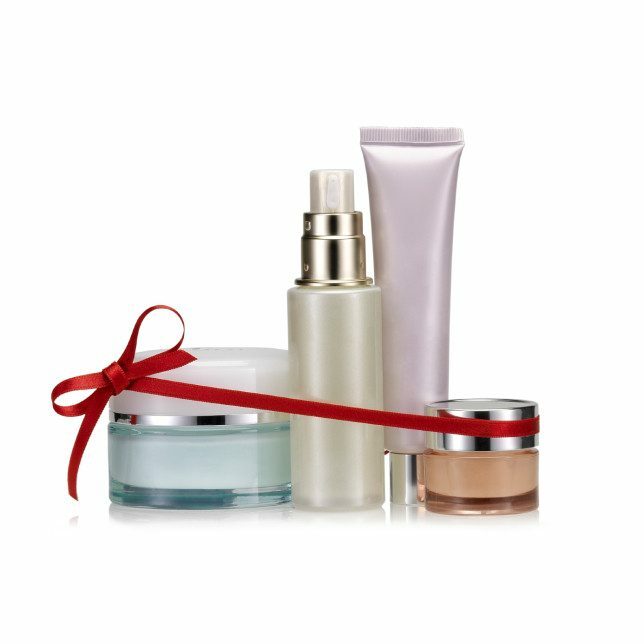 Take a look at the “Gift” section on Sephora’s website. 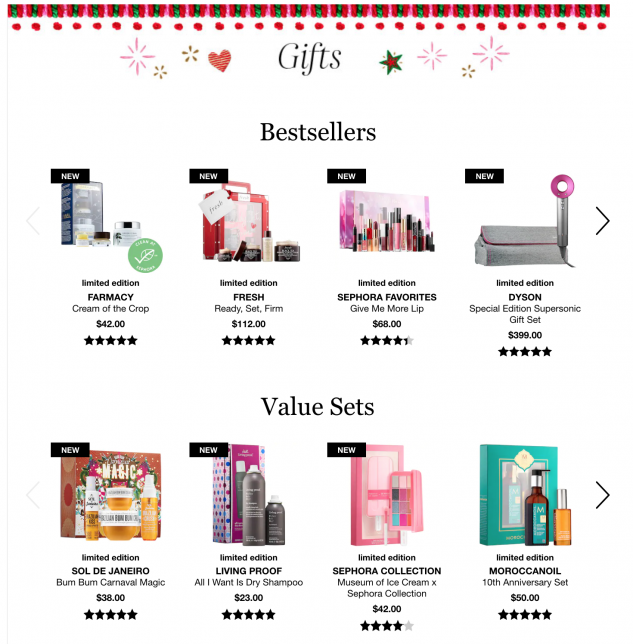 Not only does Sephora put gift sets and bundles front and center, but the company takes a step further by categorizing those gift sets. You’ll find collections like “Value Sets” and gift bundles marked $25 and under. Giving out physical gift guides? Invest in high-quality paper and printing. You want people actually peruse your guide, rather than treat it like a cheap flyer and just throw it out. Watch our webinar How to Turn Lookers into Buyers This Holiday Season, with special guest and top 5 industry expert, Bob Phibbs.